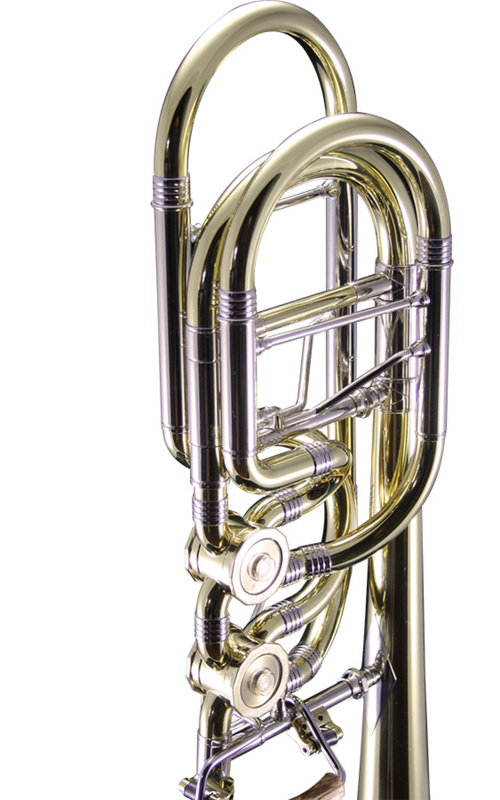 Greenhoe Trombones will retrofit a valve section to any trombone. Greenhoe valve sections feature the Greenhoe rotary valve providing unmatched response and clarity. They also feature Greenhoe Sonic Suspension which allows the valve tubing to float away from the bell with connection only to cross bracing, thus permitting the bell to vibrate more freely. Greenhoe Trombones performs all installation work in our Melrose Park, IL facility, ensuring stress free assembly with the greatest precision of valve action. For information regarding pricing or to schedule your Greenhoe conversion, contact us via info@greenhoe.com or call us at 708-343-8858.